The new X48 chipset-based P5E3 Premium ships with a wide assortment of bundled accessories and software. 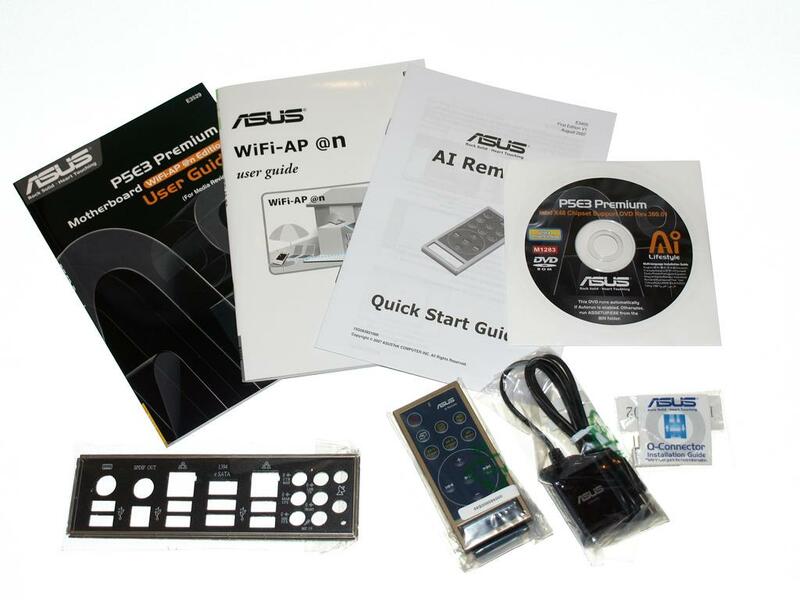 The Asus P5E3 Premium’s bundle includes detailed user manuals for the board, its integrated 802.11n WiFi NIC / AP, its AI Remote Control, and a multi-language quick-start guide to help get the board installed as quick and painlessly as possible. 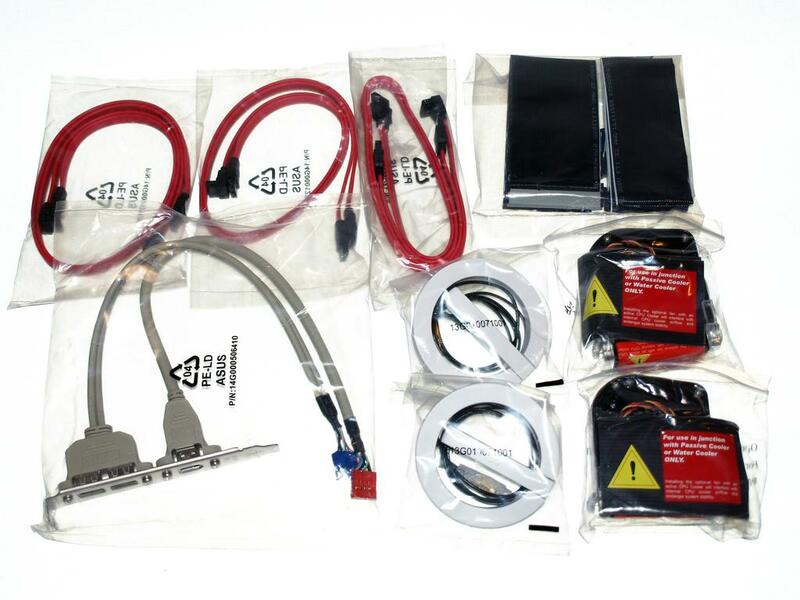 Also included with the board is a driver DVD, six SATA cables, a 4-Pin Molex to dual-SATA power adapter, a pair of optional cooling fans, a package of Q-Connectors, black IDE and Floppy cables, a case bracket with USB and Firewire ports, the tiny AI Remote and finally a pair of WiFi antennas. There is also a custom I/O shield included, which interestingly enough is somewhat unique. With this I/O shield, Asus has done away with the sharp metal tabs common to virtually all other shields and has replaced them with an insulated foam. The foam adapts to the shape of the board and helps prevent accidental cuts during installation and annoying vibration during use. This entry was posted on August 12, 2008 at 9:17 am	and is filed under P5E3 Premium. Tagged: P5E3 Premium. You can follow any responses to this entry through the RSS 2.0 feed. You can leave a response, or trackback from your own site.